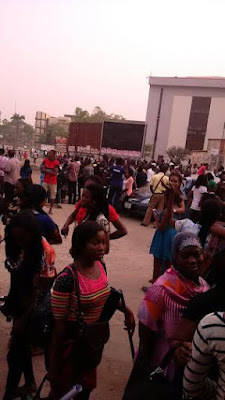 Students of Yaba College of Technology, protested heavily yesterday February 10thover the death of their colleague. According to a student who spoke with LIB, a student of HND 2, Department of Office Technology Management was rushed to the school's Medical Center on Tuesday night but they allege she was left unattended until she died around 2am. The student reportedly died two weeks to her exam. 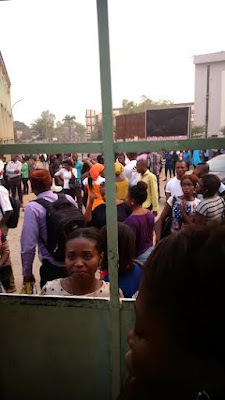 Angry students stormed the clinic, protesting violently, blaming her death on poor medical infrastructure and service.